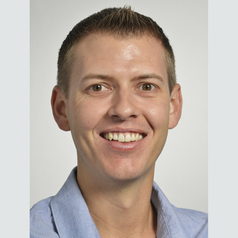 Nicholas Archer joined CSIRO as a Post doctoral fellow in 2012 and is currently a Research Scientist working in the Sensory, Flavour and Consumer Science team in Food and Nutrition. He has a background in cell and molecular biology and has broad interests in the areas of human genetics and the impact of human genetics on health. Nicholas’ research at CSIRO includes (i) the identification of genetic variants that influence taste perception; and (ii) understanding genetic and environmental factors that influence taste and their effects on human health, with a particular focus on fat and sweet taste. To complete this work he undertakes human based multidisciplinary projects incorporating sensory science, genomics and nutrition. Additionally, his research interests include how knowledge of genetic variation in taste and aroma perception may be applied to areas like the food industry and health services.